My Salsa restoration project is finally on the road. This is an original Salsa AlaCarte circa 1984. 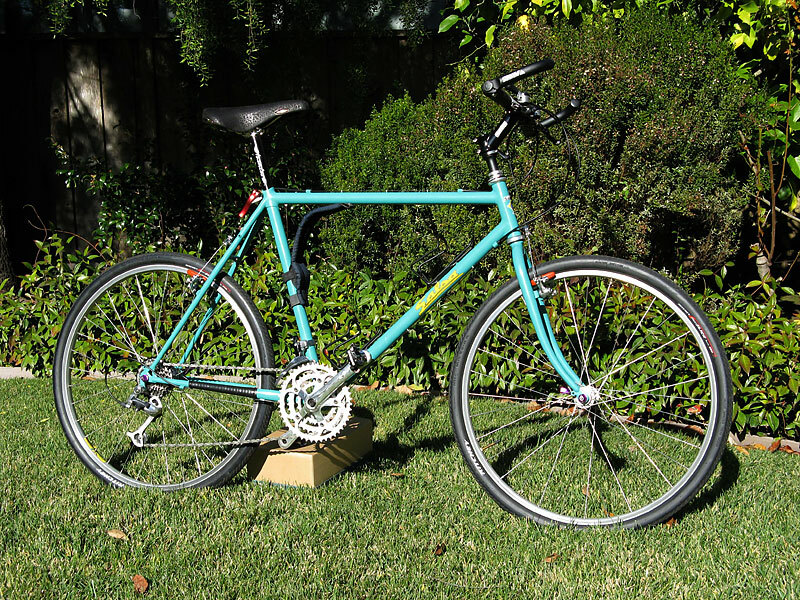 This was my best friend's bike until one too many crashes ended his riding in the mid 1990s. It sat in his garage until last summer when I convinced him to let me rebuild it. It is serial number SM84. Based on the S/N and sales receipt I believe it was built in the first year after Ross Shafer moved from Santa Cruz to Petaluma and began building under the Salsa name. Construction is fillet brazing. A unique detail is the braze-ons for the protage strap. The frame was signed with Ross's nom de plume "Scoboni". 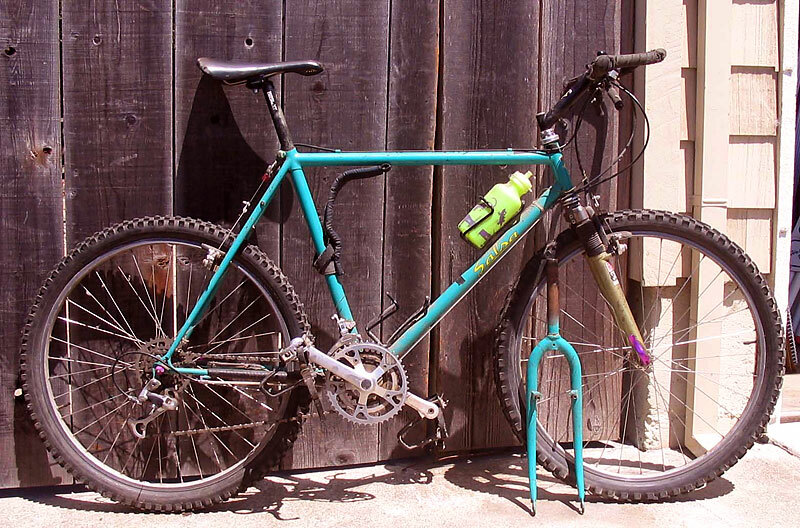 The frame was repainted in the original "Gumby Green" color by JoeÕs Bicycle Painting in Aptos, CA. Joe did a great job duplicating the original color including the light pearl & low gloss clearcoat. 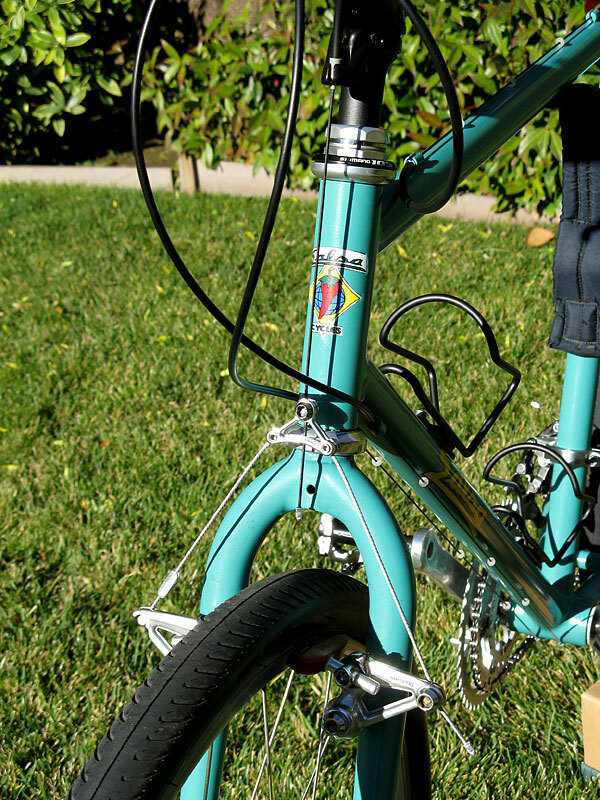 Joe was able to save the original headtube decal and he created new decals for the downtube. As much as possible I used original components or vintage parts from my stockpile. 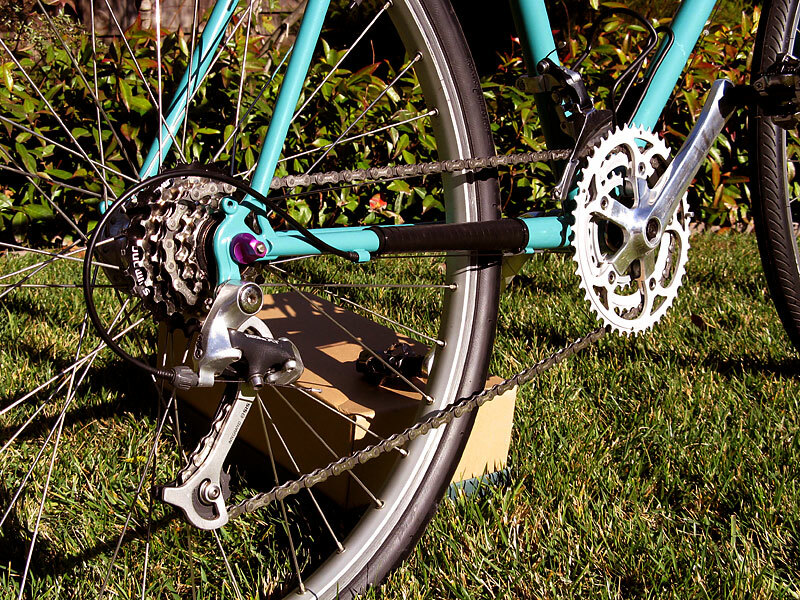 Derailleurs, shifters, brake cantilevers and cranks are the original Shimano. I set the bike up as a fast all-rounder and I am very pleased with the outcome. I initially planned to build it up with drop bars. As the project progressed I decided that a flat bar setup was a better match and it allowed me to maintain the original shifters & brake levers. 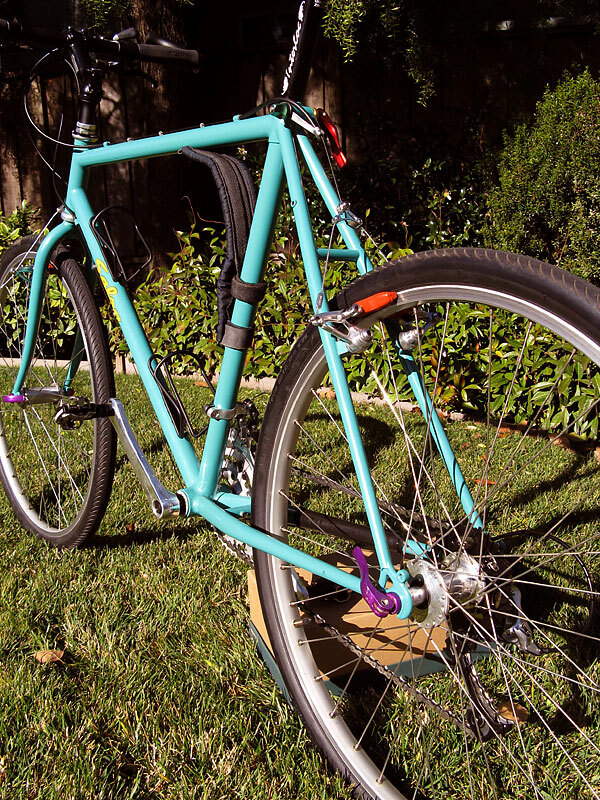 The frame isn't the lightest but the strength is perfect for travel on the rough paved and unpaved roads around here. It is so effortless to ride that I am planning to go for taller gearing with larger middle and large chainrings.